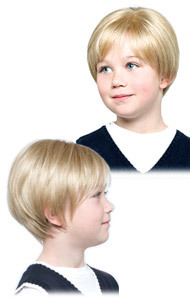 Requiring very little styling and low maintenance, the wonderful wigs of the Children's Collection offer lots of style, quality and comfort at a terrific value. 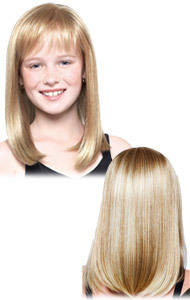 We have just the right look for your child or teen! With a tapered nape and natural body, this unisex style looks great on boys and girls. • Cap Size: 19 in. With soft, side swept fringe and sweet shoulder length locks, Miley is a great style for a young girl or teen.